An Access database consists of one or more tables that contain related information. Once you've created such an empty database, you could work your way through all of the tables to fill them with information. Let's start by creating a few simple tables, and then building an Access input form on top of those. Instructions in this article apply to Access 2019, Access 365, 2016, 2013, and 2010 unless otherwise noted. Before you can create an Access input form, you need to create a few tables that your form data will go into. Microsoft Access is great for small businesses. So, for this example, you'll create an Access database for tracking sales information. This database will contain information about your sales staff, monthly sales, and monthly expenses. Launch a new database in Access. You'll see a blank Table1. Select Click to add, and add five fields. Make one short text, one long text, one large number, one short text, and two currency fields. Right click on each field, select Rename Field and type the new field name. Name each field Salesperson Name, Address, Phone Number, Month, Sales, and Expenses. Once you've renamed all the fields, you're ready to move on to the next step. Now that your table is ready for data, it's time to build a form to enter all the data. The large number field is only available in Access 2019 or later. In earlier versions of Access, you'll need to use a String field to record data like a phone number. You'll begin by creating a simple form that allows you to work with the Table1 table. Select Create in the menu, and select Form Wizard. Use the >> button to select all fields in the table. Choose the form layout that you’d like. Justified is a good, attractive starting point. Remember, this is just a starting point. You may modify the actual form appearance later in the process. Give the form a title, and then choose the appropriate radio button to either open the form in data-entry mode or layout mode. Select the Finish button to generate your form. Once you’ve created the form, you can interact with it as you wish. The layout view allows you to customize the appearance of specific fields and the form itself. The data-entry view allows you to interact with the form and enter data. Use the > and < buttons to move forward and backward through the recordset. The > button automatically creates a new record at the end of the current recordset. The Search field lets you find specific items in your table. Use Go To in the Home menu to go back and forth through table records. You can also go to the first or last record, or create a new one. Now that you’ve created this first form, you're ready to start entering data. Try playing around with the form design. 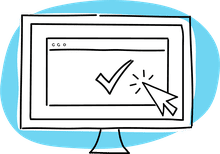 Since forms will be the area of your Access database you'll see and use the most, it's important that the form is designed well. Now that you've got a form created for your table, you're ready to start entering data. The benefit of using your new Access Input Form is that you don't have to find individual fields in the table to enter the data. As you insert data into one field, you can just select Tab on the keyboard to move to the next field. Once you press the Tab key in the last field, it'll save the last record you were editing to the table and move to the next empty record. Use your new Access input form to enter a few records into your table. You'll see that just by entering form data and pressing tab, you can quickly enter many records into the table without much effort. As you can see, entering data using an Access input form is much faster than trying to enter data directly into an Access table. In addition to adding new data to a table, an Access input form lets you modify data that's already in a table as well. Scroll back and forth through records using the < or > icons, or using the Search field to search for data in any field in the table. Select Save in the Records group in the Home menu. Or you can press tab in the last form field. Either of these options will save your change. Use the > icon with a star to the right of it to jump immediately to enter a new record no matter which record you're currently viewing. Once you have enough data, you can start adding and linking new tables and creating useful reports. 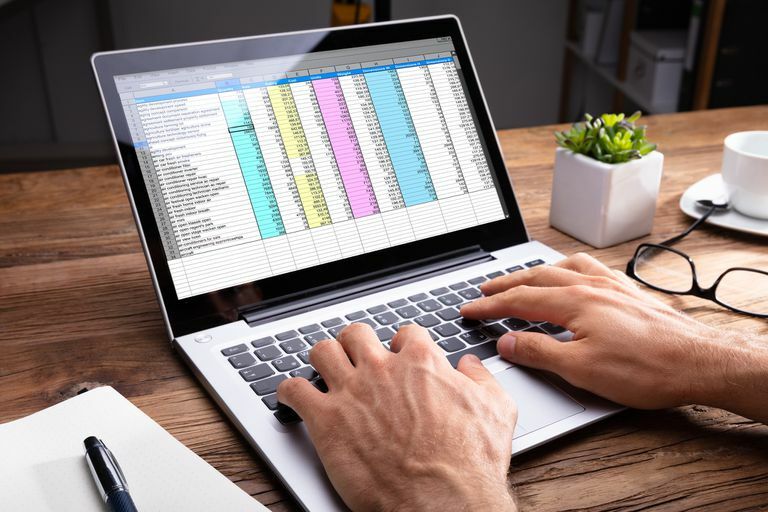 Microsoft Access is a very powerful tool for tracking everything from a personal book library to your entire small business. Forms give you much easier access to all of the data you've stored in your Access tables.